The relatively small New York Motorcycle Show had last weekend a secret star: The Vanguard Roadster. 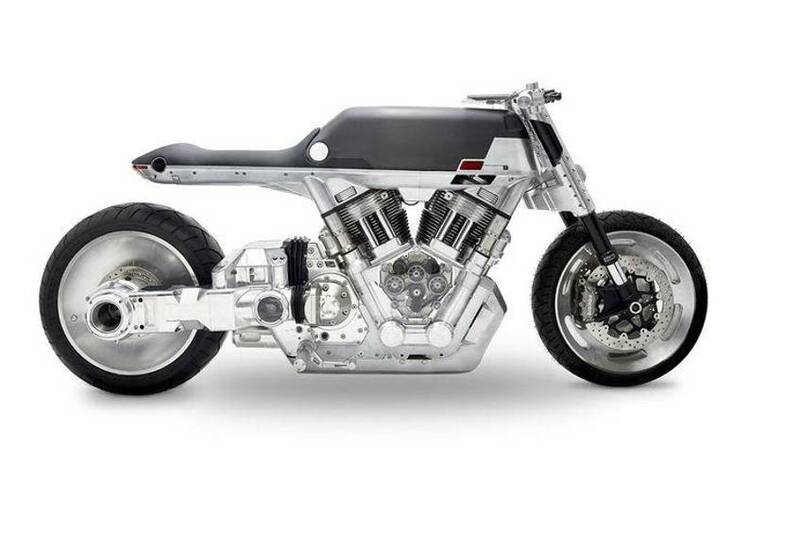 The n@ked bike in the style of Confederate bikes drew everyone’s attention. 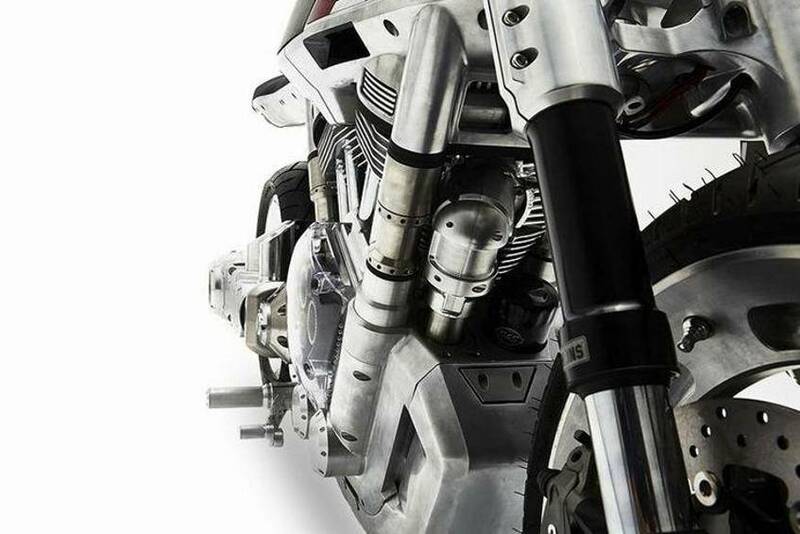 Here, the “S & S” -V2 engine stand with 1,917 cubic centimeters and an output of 100 hp and a maximum torque of 150 Nm rather less in the foreground – not even the 21-liter tank, the Öhlins front forks, the Brembo brake system , the weight of 250 kilograms or the wheelbase of 1,664 millimeters. 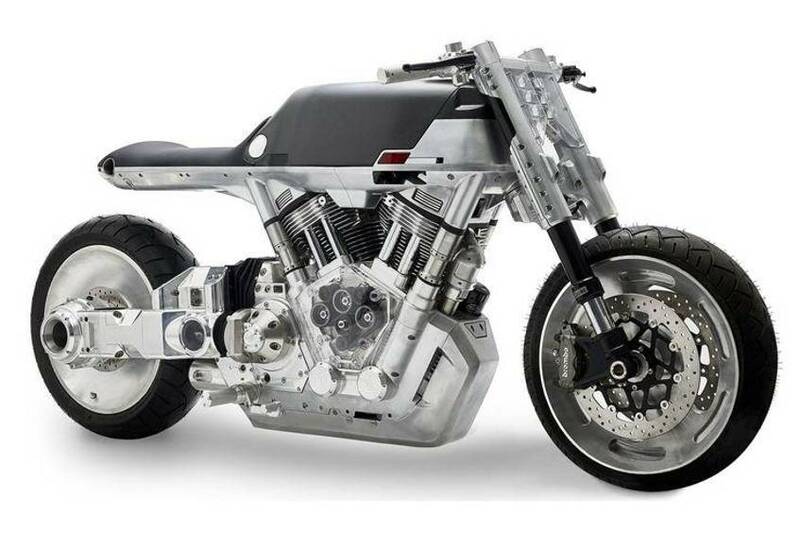 Instead thrilled the technocratic retro design of chief developers and designers Edward Jacobs , who for many years drew motorcycles not only at Confederate Motorcycles, but also industrial design and architecture studied. Conspicuous: The two-smooth polished wafers behind the rim, the funnel shape tapering towards the hub. The front shows the equivalent open but hardly less purist. An exhaust system looking in vain, it is hidden beneath the engine in disguise. In contrast, optically not spilled in the Arm with integrated shaft drive. The more delicate to show the narrow seat and the rear end with the round rotating LED light. And also in terms of “cockpit” is Vanguard new ways. Classic instruments are replaced by a tablet, rear view mirror of a camera. But we look forward and let the LED headlights illuminate the future. The Vanguard Roadster is from 2018 come on the market, the price: 29 995 US dollars – more than 28,000 euros. Whether the part is coming to Europe, is questionable. 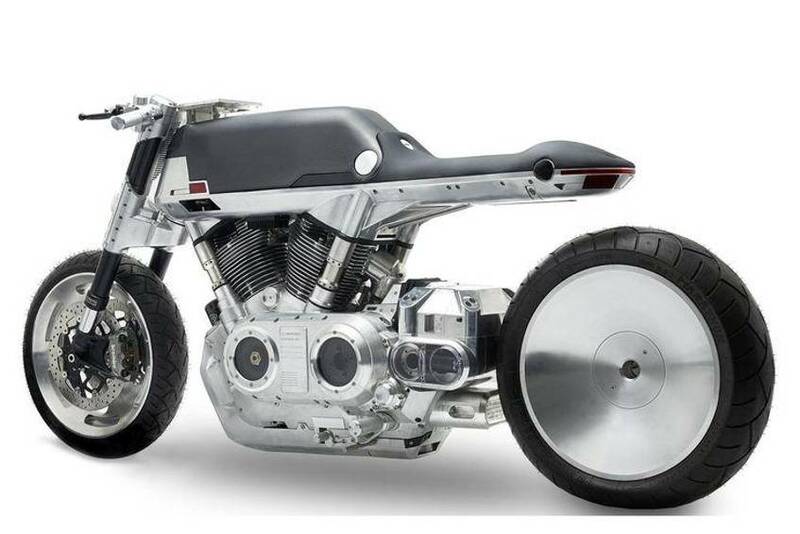 Incidentally, as the new Vanguard Motorrradhersteller has with Edward Jacobs not only an experienced motorcycle designer but with his partner Francois-Xavier Terny a financially strong investor and motorcycle and sports car fan. They have jointly established FXE Industries in New York.